Growth is abound throughout the Black Hills and boy how time flies! 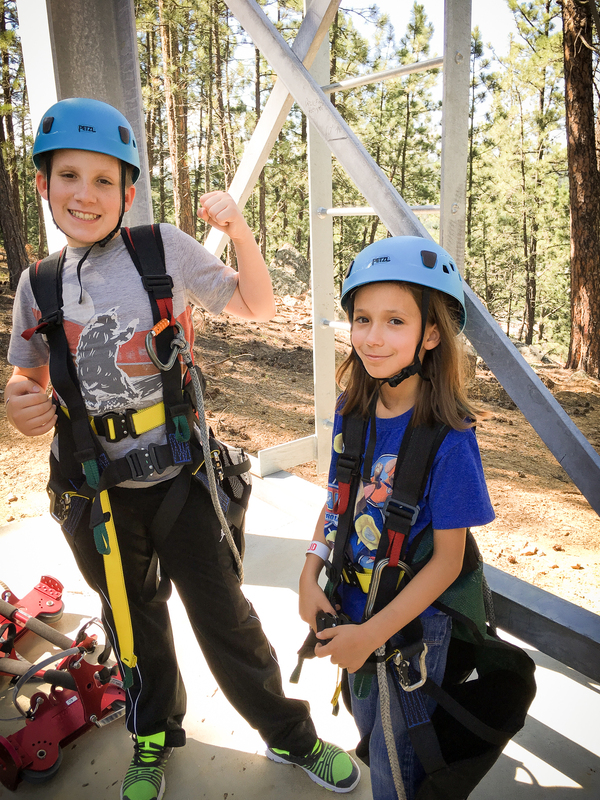 Almost four years ago to the day, my son and I explored a brand new attraction in the Black Hills, The Aerial Adventure Park at Rushmore Tramway Adventures in Keystone. 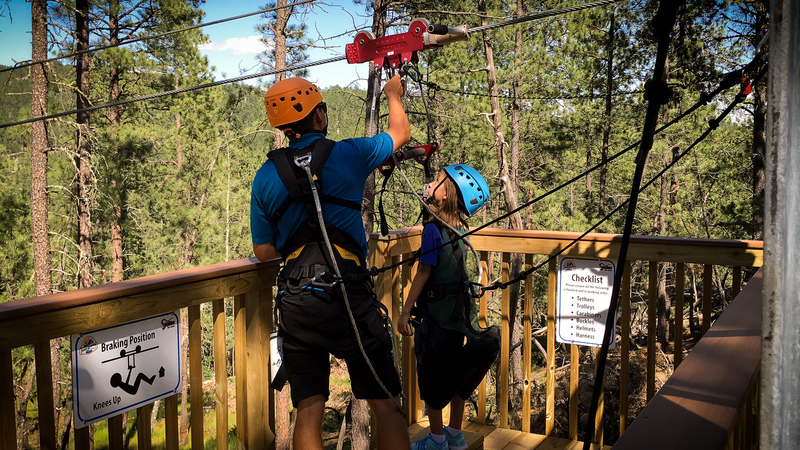 Fast forward to present day, and once again I found myself exploring another new attraction at Rushmore Tramway: The Pinnacle Zip Tour. This time with the addition of my daughter. If you were to compare my two children, one is a gamer and the other is a rough-and-tumble, loves-to-play-in-the-dirt princess. Both of my children have experienced their share of roller coasters in the traditional sense, both at major theme parks and local fairs, but neither have experienced the adventure we set off on this day. 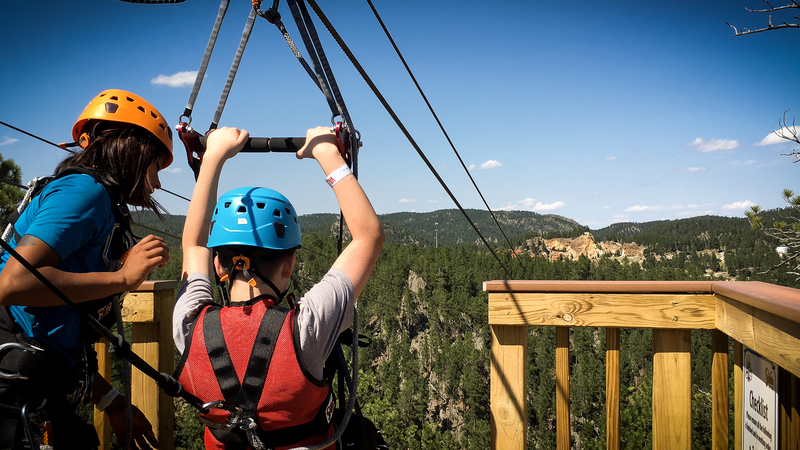 The Pinnacle Zip Tour at Rushmore Tramway Adventures is new to the Black Hills in 2017. 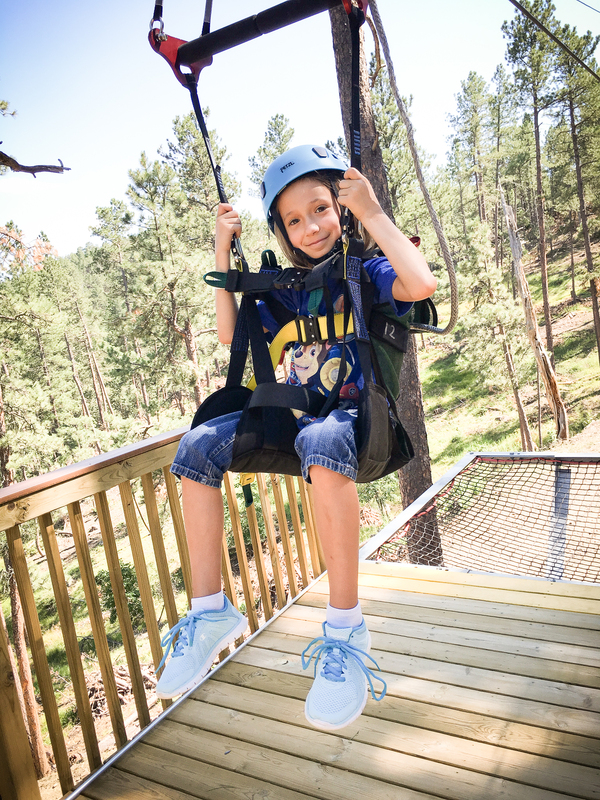 The zip line adventure consists of five courses with dual zip lines and approximately one mile of forest. At one point you'll find yourself 400 feet above the ground! If you are daring enough to give it a whirl, you could experience speeds of 35 mph. My family was paired with seven other individuals. 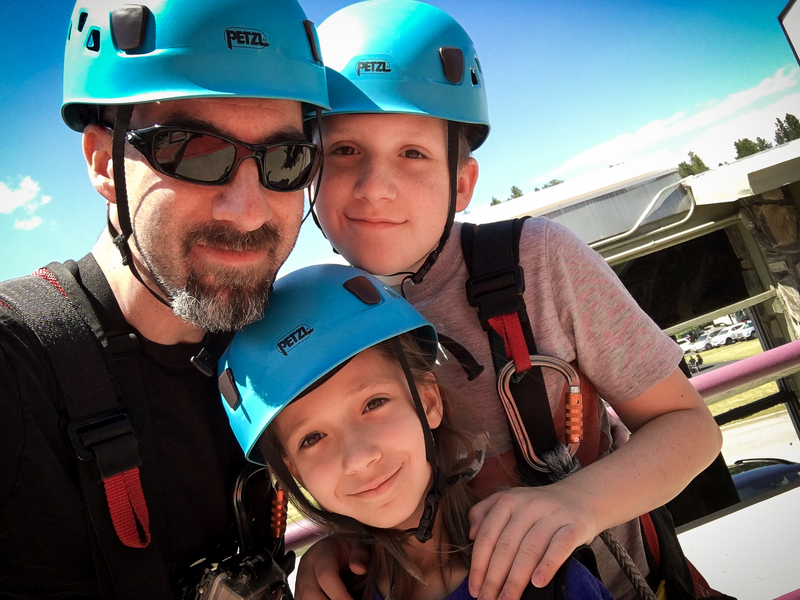 This two-hour adventure with started off by equipping my family and seven others with properly sized harnesses, helmets and safety instructions. For those of you concerned with safety, all zip line tours are overseen and led by two professional guides who are with you every "zip" of the way—pun intended. After suiting up, the guides led us to the chairlifts for our ride to the top. 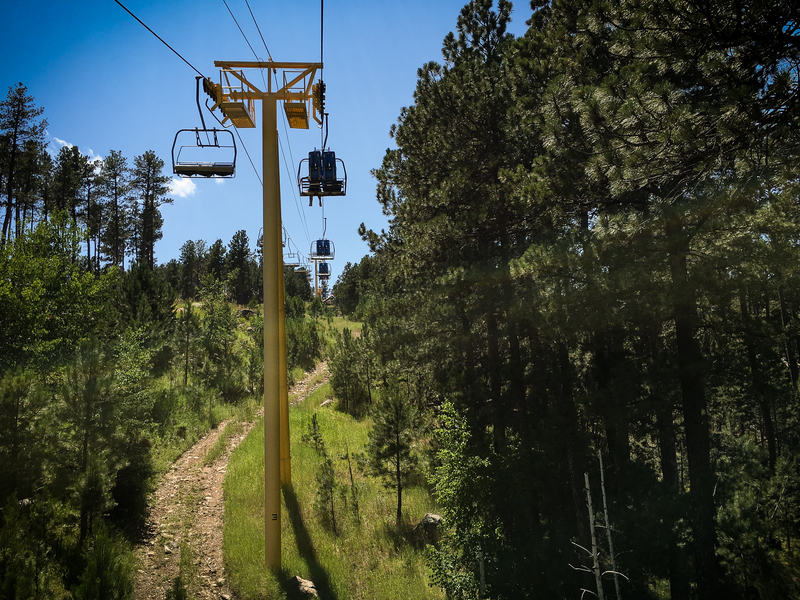 With a kid on each side, the chairlifts alone are an enjoyable experience as you get to witness Mount Rushmore off in the distance and the trees beneath your feet. This short trip brought us to the first zip line which was a short 400-foot line. Ah, the perfect starter line... At this point I am not sure if the group was nervous, but one of the guides pointed out that our group was a little unenthusiastic. Appalled at this statement, I let out a resounding "Let's go!," seemingly for the amusement of myself. Nonetheless, we opted to let the other family go first. 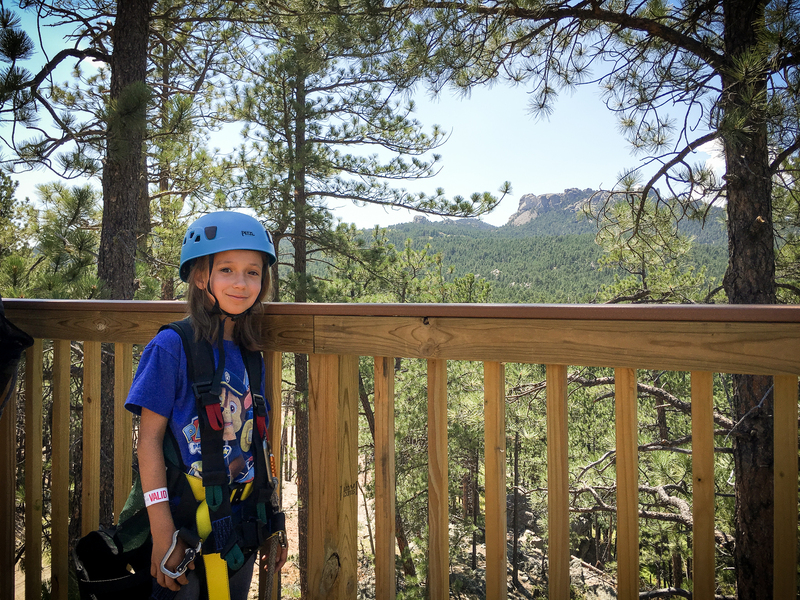 After you finish this zip line, you are once again greeted with a clear view of Mount Rushmore and a small hike to the next zip line. The second line is where slight intimidation sets in. This line is a 1500-foot-long ride that hits speeds of 35 mph. My son took this one on enthusiastically, but my little girl froze. This is where I would like to commend the guides that went out with us for being so patient and reassuring. After a few minutes of composure, my little girl let out a sigh and said, "OK, one more breath and I'm ready to go." And just like that off she went. As we waited for my son to follow up, we were greeted with some ice cold water, which was a perfect pairing for such an exhilarating experience and the warm weather. Our little cool down brought us to zip line course number three. Line three is approximately 50 feet shorter than the last, but definitely high off the ground. Initially, not realizing it was another long zip line, I feared my daughter would have a hard time stepping out on this one too. To my delight, still brave from the last line, she eased into this one a little quicker. Zip line four is much shorter and the eagerness to run to the next line was clearly there in my daughter. She didn't need the encouragement to continue on, but I overheard my son commend her for how brave she was and how cool he thought his little sister was for doing something so adventurous. Finally, we found ourselves at the final zip line. Course five overlooks the parking lot and all things Rushmore Tramway. The guides mentioned that this was the fastest line out of the ones we experienced. I would also mention it had a relatively unique feel to it; taking you out of the trees and back into "the real world." My son was up first and I couldn't help but express a huge smile as he took off and let out a loud "WEEEEE!" As he made it to the other side, my daughter and I were loaded up for our launch. As we awaited, I looked over to her as she was receiving her final safety check and heard her say, "I love you Dad, that was fun!" And just like that it was over...our 2.5-hour adventure through the treetops was complete. It is a wonderful thing to witness your children face the unknown and come out with a smile when they get to the other side. The ride home was filled with recapping the whole experience and the desire to do it again. The memorable final words by my daughter, "Next time, I'll open my eyes." A very special thanks to our guides at Rushmore Tramway Adventures for a wonderful experience. *Weight limits are 50 - 275lbs *Must be at least 48" tall *All ticket packages subject to age and weight restrictions for each attraction. Greg a California native who transplanted to South Dakota with his wife and children over 7 years ago. Armed with a background in professional photography, Greg chooses to tell the story through the eye of the camera. His appreciation for the Black Hills stems from his outside-looking-in approach.